The journal welcomes submissions from all related fields to the Cancer Immunology & Therapy which utilises the immune system as a treatment for cancer. Cancer immunology is an interdisciplinary branch of biology that is concerned with understanding the role of the immune system in the progression and development of cancer; the most well-known application is cancer immunotherapy. 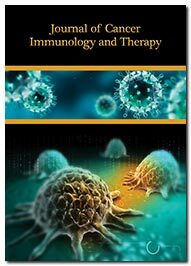 Journal of Cancer Immunology & Therapy is a peer-reviewed, open access journal that reflects articles on all types of tumor immunology. The journal serves as a forum for new concepts and advances in basic Cancer Discovery, Cancer Epidemiology, Biomarkers & Prevention, Cancer Immunology Research, Cancer Surgery, Advances in Cancer Prevention, Breast Cancer, Cancer Biology, Cancer Treatment, Cancer Management and Research, Integrative Cancer Therapies, Clinical cancer immunology and therapy. Journal of Cancer Immunology & Therapy organize a new platform for the researchers, scientists, scholars, students in this field to publish their research work & update the latest research information to the scientific community. Chief criteria for acceptance are scientific novelty and quality, originality, clarity, and conciseness with early online publication, regular podcasts and an immense archive collection. Immunotherapy in breast cancer: where we stand? Modelling approaches in tumor microenvironment. Epigenetic altering drugs as immunotherapies. Advanced and metastatic soft tissue sarcoma, a review of aajcc 8th edition staging and the use of olaratumab. Recent advances in exosome-based cancer immunotherapy.